Patricia and I are still finishing up the new anthology CALLED HOME, very important history as a collection of adoptee narratives and the historical truths about adoption in Indian Country. These voices of adoptees are at the heart of what I do. They are the reason there is a blog AMERICAN INDIAN ADOPTEES. Right now Karen Vigneault and I are working with about 20 adoptees who are trying to find their families. Because of the adoption laws in the USA, we are seeing the “New Normal” for adoptees is having a DNA test. They have no choice with the laws not allowing adoptees to have access to our own names, our parent’s names and our tribal nations, and we are still denied our basic rights as human beings and citizens of sovereign nations. Our adoptive parents who raised us may or may not realize that we NEED information and our ancestry and medical background. (An adoptee can love more than one set of parents and there is no need to panic!) Adoptees tell me they are afraid to search because of their adoptive parents! That fear has to stop because if you wait, you may never get to meet your mother or father! One of the adoptees in the new anthology talks about finding new cousins who are trying to figure out who her mother is. This is the new normal. 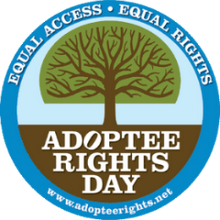 This is not right but because of the adoption industry and their billion dollar earnings, we adoptees are still at the bottom of the totem pole as far as our rights. I don’t know how many times I have said to an adoptee do not delay your search. If you do get a name or phone number, make the call. Have a friend with you to keep you calm. Write a set of questions. Just make contact then offer to send a letter explaining what you know about your first family. Send them your phone number so they can call you back. Give people time to adjust to the truth that you are definitely one of their family members. If you get your DNA results, which is the new normal, make contact with cousins who share your DNA! Give them your birth date and let them help you try and figure out how you are all related. The new normal isn’t fair but we’ll use this until the laws change.